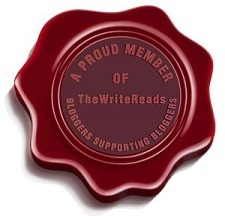 I was nominated for this by the lovely Crooks Books (Becky’s Book Blog) and you should go and give her blog some love because she has some great content! Whats the best book you’ve read this year so far and why? Sheesh can I do this by genre… if not that one is a cinch if only for the impact it will have on society as a whole. Would you rather meet your favourite book character or your favourite author? Wow. If I had already met Leigh Bardugo I’d easily say Kaz Brekker BUT being I she is one of the few I haven’t met? I have to go with Madame Bardugo if only to get her to sign my license plate (for those that don’t know, it says “Kaz” and in Missouri, you don’t have to have a front license plate). What Movie/Show do you think is better than the book? Oh that is simple- Game of Thrones. You couldn’t pay me to read the books. My ADD would explode. I call it the twenty pages to describe a tree syndrome. Uh-uh. No way. No how. What do you like to do, other than read (and talk about books, and hoard books, and sniff books…)? Well, before being out of work for a year, I used to do a lot of things. Now, not so much. Mostly due to a lack of funds. I think most have picked up on the fact that I have an infinity for Marvel movies, but DC is always my comic love. My mom has gotten me into The Walking Dead, lord help me. To be fair, I got her into Game of Thrones. The Umbrella Academy, of course. Oh and my three cats of course!! Maybe the rest I should save for random facts? Did you ask for pictures? Of course you did!! Do you prefer sweet or salty? Is it unfair to say I’m one of those that like the mix? Like chocolate covered pretzels? How do you describe why you like reading to non-readers? I can afford it. Well I can but no… I dedicated my life to it for fifteen years while I was in education. I dedicated my life to support students who didn’t think they could or even wanted to read realize they could and that they did, in fact, want to read. Even before that, as a child, I have always had an infinity for reading. However, it all started with song lyrics. My parents were hippies. I grew up on music from the sixties and seventies. The first song I remember knowing the lyrics to was the Fool on the Hill by the Beatles when I was like five. I wanted desperately to understand it. I studied it. That started everything. Do you have a yet-to-be-realised dream? What’s a book genre that you never read? I don’t read romance. Right now it is a trigger for me. I don’t mind books if it is a B or C plot. I think it will always bother me when romantic relationships feel forced into books that don’t need it. However, right now romance and chiclit are just triggers and I stay away from it. Whats something about you that might surprise people? I’m very sensitive. I’m 42. I’m not sure what else. Who is the least likeable character you’ve ever read? Least likeable? Hm. That is hard. I like really complicated characters. If comics count? I would have to say Alpha from the Walking Dead (who is just coming to life on TV right now) and man you haven’t seen anything yet! Whats your favourite genre and why? While some it is mood based, I definitely lead towards fantasy. I love to drive across the country. I have traveled to the UK, three times I think. I don’t think Americans experience enough of this country (outside of touristy areas). Driving allows you to do that because you can do it on your terms. I started my own novel a few months ago but I think I have to scratch it and start over with a different idea- don’t know what yet. I am a HUGE Golden Girls fan. I could do a one woman show with it. Let’s stick with that theme for a second. When/If I ever have the money? I want a “Brick by Brick” tattoo. I moved to St. Louis on a complete whim after driving across the country when I was 32. Gomez is named after a British band. Liam is named after the singer of Oasis (I wanted to named him after Noel- my ex-fiance wouldn’t have it). Ask me about Batman someday when you have a whole day to kill. Here are my blog nominations. These blogs all create such interesting and enjoyable content! There are way more than these but I tried to choose ones I’ve recently started following and haven’t nominated in the past! And now that I see the below I just realized I wasn’t supposed to answer the questions above but the questions below- My bad. Sorry. Here are my questions for everyone. Top five favorite books in order… go! What do you thinks is the most over hyped book ever? What do you think is the most over hyped series? What series do you think everyone should read but it seems no one has? What is your favorite social media platform to use for book blogging? What is the most beneficial social media platform to use for book blogging right now? How have you grown your followers on your blogging site? What is the single biggest mistake you have made since you started blogging? What is the single greatest thing you are proudest of since you started blogging? What is one thing you would like to share with the blogging world you never had a chance to share? Thank you dear!!! Can’t wait for everyone to go up next!!! Welcome!!! I wanted to hit up some new friends! Ohh- you gave some great questions ! Yeah I dont have the tattoo… yet lol so I thought that the license plate would be a kick for her!!! We dont have that kind of blinds anymore. Now he will only drink out of the bathtub faucet which has made a mess out of all the things. I should have named him Loki, apparently. Sheik sounds like she and Gomez would get into a lot of fun adventures together. Fun for them.. maybe not so much for us! Gomez is 30 lbs but I dont think he could shatter glass… that is quite a feat! That would be a fantastic picture! You are welcome to join the tag if you like 🙂 I can add you in!!! Oh she didn’t shatter the glass, but the blind’s xD which seems to be plastic made to look like wood? They would ! for the exception she hasn’t quite saw cats before 😅 So idk how she’d react to him – wow he’s heavier than she is ! Feel free to steal away. My boys have never seem a dog. I wouldnt give liam the chance. He can be a little b. He loves people but not so much other animals. Pavel would just run and hide wherever he thinks he could hide his 35 lbs of mass (which is basically nowhere but he pretends he is stealth). Oh my God! That is awesome about your teacher! I worked in Chicago for a year and an half and I swear hand-to-God that one of the other teachers was from St. Olaf. Like I made her pull out her driver’s license and prove it to me because I refused to believe it was a real place. She was hysterical about it. A new GG theme restaurant just opened in St. Louis and my ex/now best friend that I still love promised to take me next weekend. We were gonna go this weekend by St Pat’s day made that impossible. Lol I’ll have to take pics. He keeps asking me how they have been writing the show without the last book being finished and I keep trying to explain that Martin told him what was gonna happen but I dont think he believes me lol. I give you credit for getting through the books! I agree with you, the show GoT is better than the books. I read the books in German. All 10 and all 6000 pages, it was way too confusing and too detailed. The show on the other hand is compact yet very complex. Can’t wait for season 8. I bow down to you not just for reading it but for reading it in fn German. 6,000 freaking pages. That is insanity. Oh gosh, I struggle to read the Game of Thrones novels too. I’d rather watch the show as well, haha.